New York Magazine, March 16, 2008. When Nico Muhly debuted a new piece of music at the Kitchen on March 7, he introduced a new instrument: the beautiful blonde. 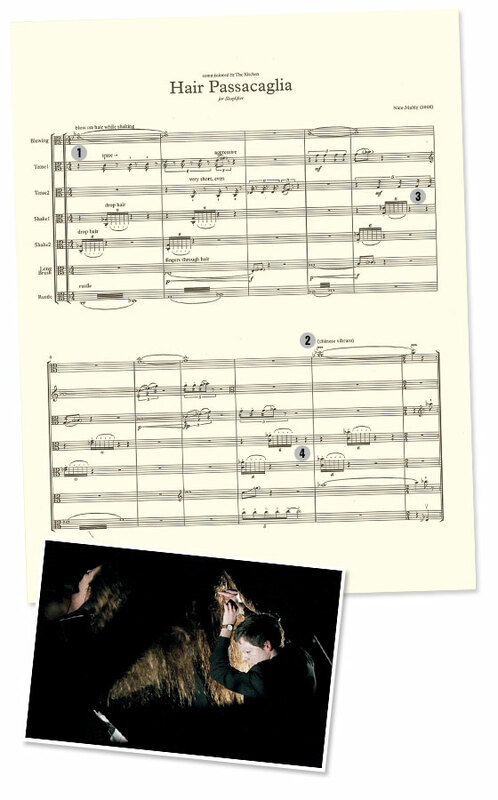 The composer teased, shook, and combed three women’s hair according to the score, below, while violist Nadia Sirota simultaneously performed the piece as a looped-track solo.